The time has come, and I am so thrilled. It’s been many long weeks of preparing, discovering, and a little designing to bring you my official website. I’m pleased to announce it will feature my art blog, a live shop, and newsletter subscription to ensure collectors and fans will have first-class access to my journey. A few days ago, I decided to take a chance: I shared my art in local groups and communities and the response was overwhelming. Never underestimate the people around you. Believe in them. And they just may turn around and believe in you. 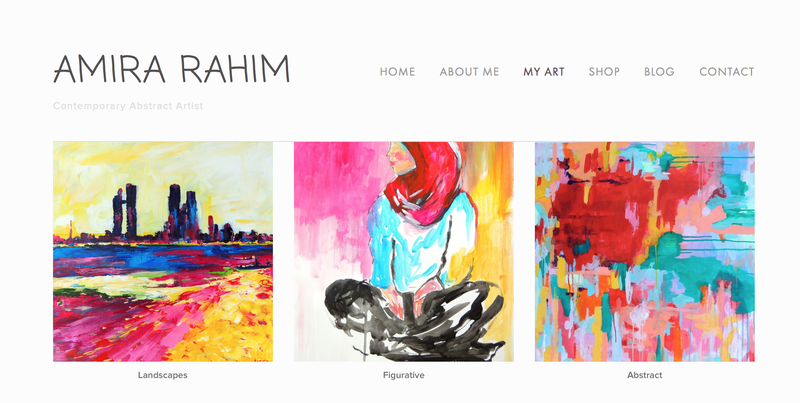 I never thought people here in Abu Dhabi would be interested in my bright, colorful abstract paintings, or my hijab figures, and funky palm trees. But it turns out, they are! 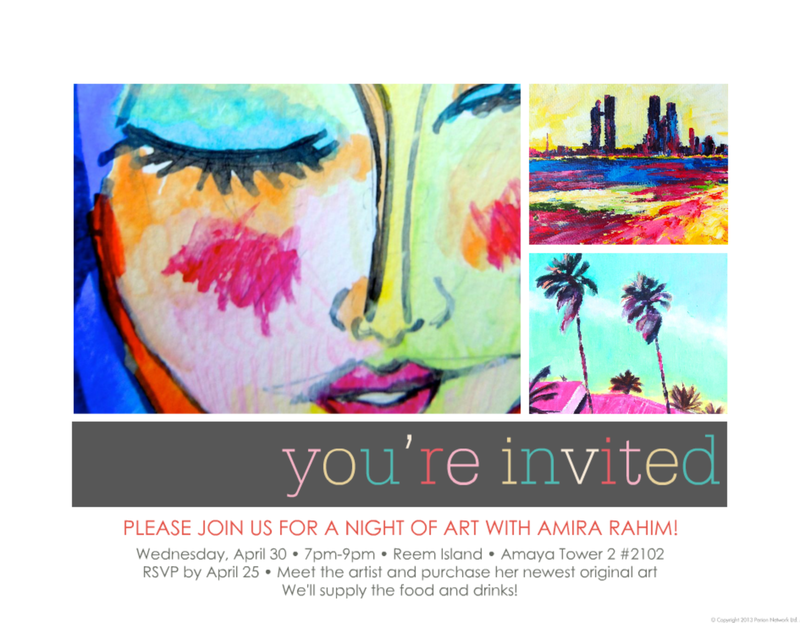 And as if all of you’re support and encouragement wasn’t enough, I am honored to announce, I will be having my very first solo art show in the charming home of an expat here in Abu Dhabi. A show that was not my idea, but the idea of a new friend who believes in the magic of art. I’m off to go giveaway some of all this positive energy I’ve been receiving, and it will start by me first giving away some of my art! Posting contests on my Facebook page.